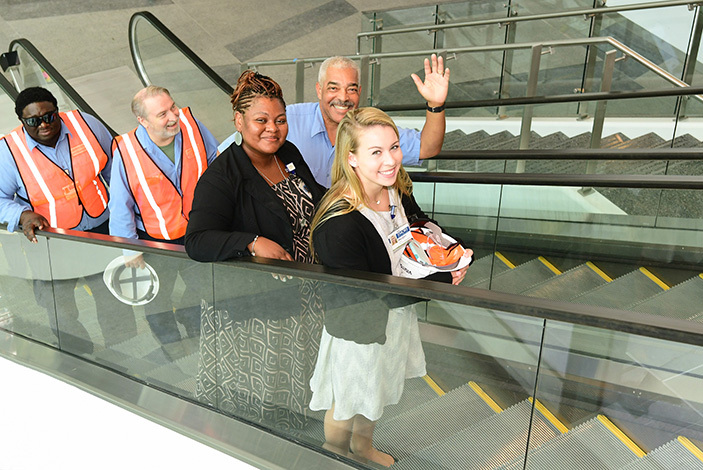 Employees test out the new escalator in the Emory University Hospital Tower between the first and second floors. 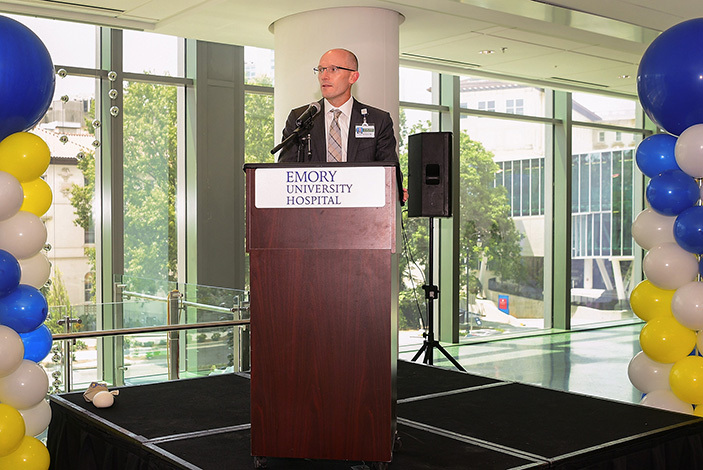 Bryce Gartland, CEO of Emory University Hospital, welcomes a room full of staff to the EUH Tower Open House. 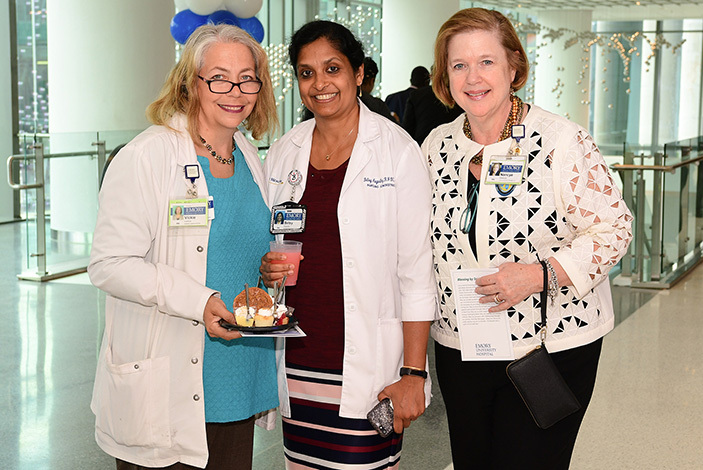 A large contingent of nurses attended the Emory University Tower Staff Open House on July 20, 2017. Bob Bachman, executive director for expansion/renovation at Emory University Hospital, says this building was designed for interdisciplinary teams to care for patients. Employees at the top of the new escalator in the Emory University Hospital Tower between the first and second floors. David Pugh, vice President for facility and space design for Emory Healthcare says this project has been a labor of love, with so many different people involved in the tower's design. A large number of Emory employees and physicians got a sneak peek of the new Emory University Hospital Tower, 11 days before the first two floors open to the public. 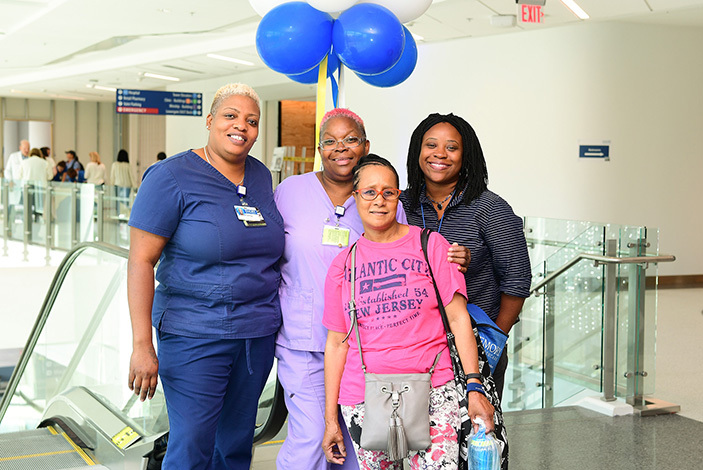 More than 1,200 health care providers and patient- and family-advisors attended the staff open house, which was held on Thursday, July 20. Those who attended had a chance to explore the first two floors of the new building -- which contain the radiology department, anesthesiology pre-admission clinic, admissions, guest services and the dining facility - called the Clifton Café. They could also tour one of the patient floors nearing completion. A short program highlighted the detail, design and hard work that has gone into the building from start to near finish. "This project has been a labor of love, with so many people, from so many different areas of the hospital, involved in the planning and design of this new tower," says David Pugh, vice president for facility and space design for Emory Healthcare. "This new addition will help us extend our services and excellent patient care to even more patients who turn to us when they are sick," says Bryce Gartland, MD, CEO of Emory University Hospital. "We are thrilled to have our staff join us for this special event, as we ready to move in to our new space." The 450,000-square-foot, $400 million state-of-the-art hospital tower, across Clifton Road from the current hospital, comprises 232 patient beds, including 40 critical care beds. The new hospital tower provides an additional 128 net beds, bringing the total number of licensed beds at Emory University Hospital to 733. 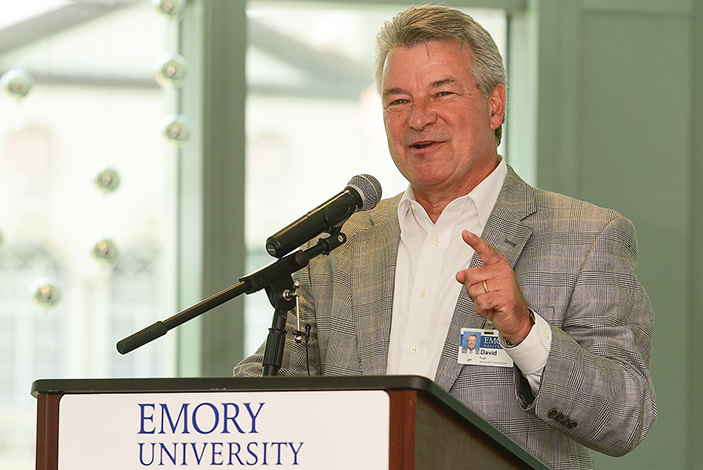 "The opening of this tower is the first major expansion at Emory University Hospital in years," says Robert Bachman, executive director for expansion/renovation at Emory University Hospital. 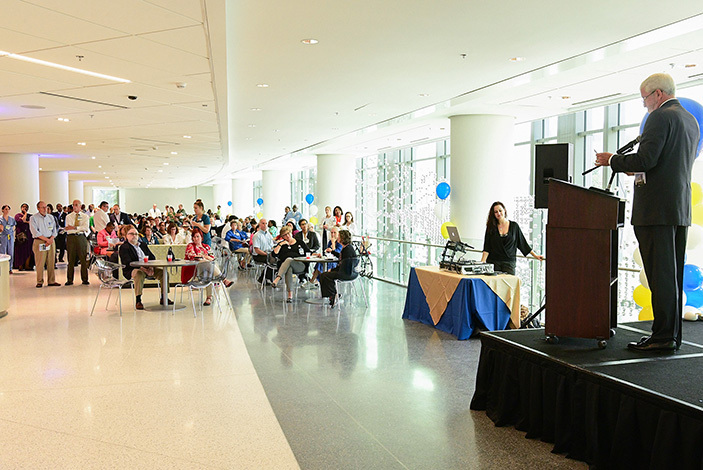 "When we admit the patient, we admit the family and we want this building to truly represent the importance of interdisciplinary, patient- and family- centered care." Floors one and two will open on Monday, July 31, along with an underground parking deck, complete with 500 parking spaces. Patient floors begin opening in late August, and the hospital tower will be fully operational by the end of October.